The Union of Students in Ireland (USI) today distributed 20,000 Student Support Cards with contact details for suicide and self-harm prevention services, such as Aware, Pieta House, Walk in my Shoes, the Samaritans, and LGBT Helpline for students during their Christmas exams. USI also partnered with PleaseTalk, ReachOut.com and Jigsaw who operate on third-level campuses across Ireland. The campaign is in response to a USI study showing that 61% of students are experiencing burnout attending third level education while 27% of students in college have dropped out due to stress. 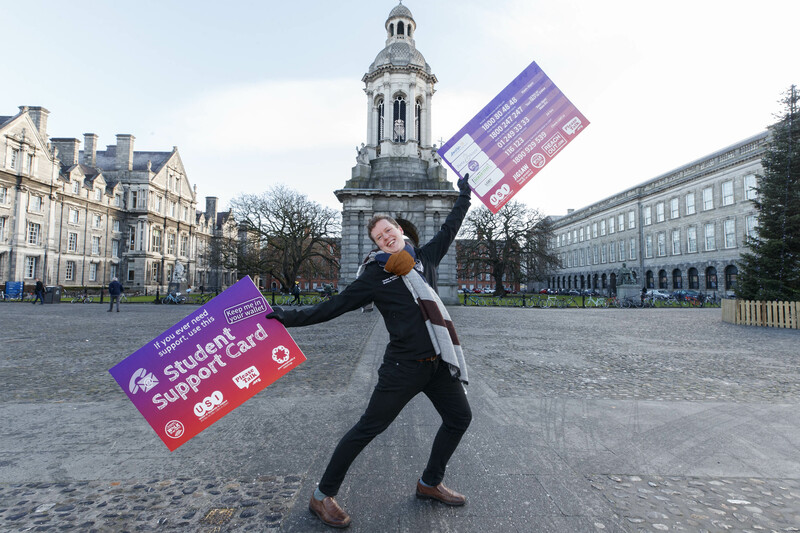 USI is urging students to visit their Students’ Union to pick up a Student Support Card and to put these cards in their wallets incase they experience mental health difficulties or wish to support a friend in need of support during exams or Christmas holiday. SUSI to open its online Student Grant Application System for 2014/2015 on 8 May, 2014.